Nonprofit A Leg To Stand On (ALTSO) is launching their month of rock & roll with a private event next week for leaders in the alternative investment and related financial service industries ahead of the 15th Anniversary of their signature fundraising event, Hedge Fund Rocktoberfest-NYC at the Hard Rock Cafe, Times Square (October 25th). 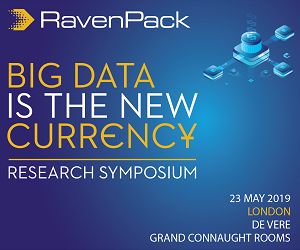 The event will gather more than 1,400 colleagues, friends, current & prospective clients for what has been recognised as one of the most unique, highly anticipated & effective events in the philanthropic & financial service industries. Rocktoberfest unites leaders from the alternative investments & finance industries for a night of rock & roll and acoustic music featuring bands whose talented performers are industry leaders. Rocktoberfest events raises critical funds for ALTSO’s patients throughout Asia, Africa & Latin America. ALTSO has provided treatment to more than 17,000 children with untreated limb disabilities by offering free prosthetic limbs and mobility solutions needed to access the opportunities and self esteem earned through education, work and mobility. Popular designer men’s brand John Varvatos is partnering with the charity to promote their dedication to equality - a key component of the work the ALTSO does. John Varvatos’ flagship Madison store will hosting ALTSO’s annual private pre-Rocktoberfest cocktail to help bring awareness to ALTSO’s important mission and launch the 15th Anniversary event alongside historic and perspective sponsors. "Intercontinental Exchange has been involved with ALTSO's Rocktoberfest events for several years, helping to provide treatment to hundreds of ALTSO's patients. We are pleased to be sponsoring once again for the 15th anniversary," said ICE Data Services Desktop Strategy VP Brian Harrison. "Rocktoberfest is a night of good music and great company that drives important work for children around the world." 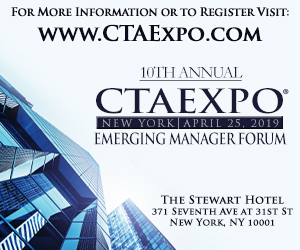 Alongside Intercontinental Exchange, current event sponsors already include CME Group, Oranj, ADM Investor Services, Broadridge, Citigroup Global Equities, Element Capital, GlobeTax, Lyxor Asset Management, Quanteam, Sandler Capital, Stiefel, Talan, Fortis Lux and more. The organisation will host a jam session, exclusively featuring talent slated for Rocktoberfest, on September 26th at NYC’s historic Bitter End. This event is open to the public, and cash cover at the door is a 100% donation back to the charity. More information on The Bitter End event here. Tickets for ALTSO’s Hedge Fund Rocktoberfest-NYC and Rocktoberfest-Chicago are on sale now! To purchase tickets, learn more about the event, see current sponsors and more, visit www.altso.org/rocktoberfest. The net proceeds raised at the event will benefit ALTSO's 10 programs in Asia, Africa and Latin America.